Here are upcoming events excerpted from the District 7 monthly e-newsletter. On September 4th, there will be an informational meeting regarding the Residential Parking Permit Program for a section of Lower Lawrenceville. The affected area can be found here. This is the first step in the lengthy resident-driven process. It will not be determining the final outcome, but is designed to provide information to residents regarding the program. Voice Your Opinion on the Capital Budget! The City of Pittsburgh announced two public hearings designed to give residents the opportunity to voice their opinion about the 2015 Capital Budget. The first hearing will occur at 6:00 pm on September 19th at the Ammon Recreation Center, 2217 Bedford Avenue. The second hearing is scheduled for 6:00 pm on October 29th at the Morningside Senior Center, 6944 President Way. City assets such as bridges, roads, parks, and buildings are built and renovated through funding provided by the Capital Budget. It also supports long-lasting programs to strengthen neighborhoods and improve resident quality of life. If you would like to give testimony at either of the meetings you can register ahead of time with Jennifer Sample Presutti at 412-255-2640 and jennifersample@pittsburghpa.gov, but registration at the meetings is also acceptable. Spend a day this fall reimagining urban space in the City of Pittsburgh! The 7th Annual Pittsburgh Park(ing) Day is happening on September 19th. Each year individuals, community groups, organizations, and businesses set up displays in designated parking spots to showcase the power of “green” in otherwise “gray” areas. The goal is to showcase the possibilities for reducing pollution and highlight how land development is impacted by automobile use. Read about last year’s event here. A map of locations will be coming soon and can be accessed here. The annual benefit for Lawrenceville United, Live! In Lawrenceville, is just around the corner! Enjoy live music, an auction, interactive games, dancing, and food from Butcher on Butler, Dive Bar & Grill, Hambones, and other Lawrenceville businesses. The event on September 20th is your chance to celebrate and learn about the programs offered by Lawrenceville United. Purchase your ticket today! One of the major redevelopment efforts slotted for the Strip District should begin in September. Three Crossings is designed to include a 299-unit apartment building with 250,000 square feet of office space next to a multimodal garage with 700 parking spaces. The project is envisioned as helping connect downtown to Lawrenceville. Read more about it here. Join Tree Pittsburgh to learn about Pittsburgh’s first neighborhood level urban forest master plan. On September 17th at St. Augustine’s, 225 37th Street, between 6:30 and 8:00pm the organization will be unveiling the plan and discussing next steps. Enjoy light refreshments and participate in the effort to re-leafing Lawrenceville! Polish Hill Market is Back in Business! Alfred’s Deli & Market equipped with new sign, fresh paint, and polished hardwood floors has re-opened in Polish Hill on Brereton Street. The redesigned market will carry the basics (milk, butter, eggs, etc. ), but also be full of local produce, organic and gluten-free items, Polish favorites, and household items. The store hopes to continue to carry on the tradition of being a small, local grocery store built to serve the neighborhood and be part of the community. Read more about it here. Besides holding public hearings regarding the capital budget as mentioned above, the City of Pittsburgh also holds public hearings concerning Community Development Block Grant allotment. These meetings offer citizens the opportunity to express thoughts and voice opinions to help guide local spending and the implementation of projects. These meetings are part of the Citizen Participation Plan used by the Department of City Planning to ensure citizens are offered the opportunity to participate in the process. The CPP can be found here. Find a complete list of upcoming events on the District 7 calendar. 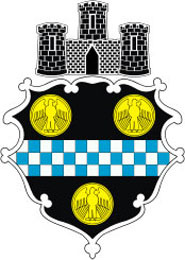 Follow District 7 Council office on twitter and facebook for the latest news and information. It’s been a relaxing summer break, but Pittsburgh City Council will end its summer recess and resume its regular meeting schedule with back-to-back regular and standing committee meetings on Wednesday, September 4th. City Council meetings can be watched live on the City Channel or on the Pittsburgh City Clerk’s Legislative Information Center. Subsequent regular meetings of Council will be held on Tuesdays at 10 AM, with standing committee meetings held on Wednesdays at 10 AM. Join District 7 staff for Council to Go, City Council District 7’s mobile constituent services office, where residents are encouraged to voice their concerns, ideas, and questions related to city government and services. Talk with neighbors, concerned residents, and Zone 5 public safety officials at the September meeting of the Zone 5 Public Safety Council, to be held on Tuesday, September 10th at 7 PM at the Union Project located at 801 N. Negley Avenue. Public Safety Council meetings are a great opportunity to stay informed on public safety issues in your neighborhood and to talk with the public safety professionals that keep our communities safe. Lawrenceville United is bringing back their annual fundraiser with a newly revised and revamped event called LIVE! in Lawrenceville. LIVE! in Lawrenceville is the recurring annual fundraiser for Lawrenceville United. Tickets are $25.00 in advance ($30.00 at the door), 2 for $40.00 ($50.00 at the door), and $15.00 for LU’s Senior AdvantAGE members. Please call LU for tickets by calling (412)-802-7220, or purchase online at www.lunited.org. LIVE! in Lawrenceville will take place on Saturday, September 14th from 7 PM – 11 PM at the Teamsters Temple (4701 Butler Street). Twice a year, the Pittsburgh Bureau of Police sponsors an opportunity for members of the community to become closely acquainted with the roles and responsibilities of the Police Bureau. This program, called the Citizens Police Academy (CPA), brings the police and the community closer together in a setting that offers a sample of police training to each participant. Participants receive three hours of training one evening each week for 15 weeks in many of the varied functions of law enforcement, including the basics of criminal law, search and seizure, patrol tactics, the processing of crime scenes, and the operations of many of the Pittsburgh Police’s specialized enforcement units. The next session of the CPA will begin on Tuesday, September 3, 2013, at the South Hills Retirement Residence (old South Hills High School), at 125 Ruth Street, Pittsburgh, PA, 15211. The program will be held each Tuesday evening, from 6:00 p.m. to 9:00 p.m. for 15 weeks. Click here for a link to the CPA application. Read the full District 7 September newsletter here. A few weeks ago, I announced that I would be leaving Pittsburgh City Council to lead Allies for Children, a start-up nonprofit dedicated to working with partners to build a bold and powerful voice for the children and youth of our region. This has been a difficult decision to make, because leaving means that I won’t be able to work as closely with all of you. We have worked hard to improve our neighborhoods and our City, stood up for what we believe in, and shared our collective hopes and dreams for our future. I will always value the work that we have done together. On July 10th, I will submit my letter of resignation to the President of City Council, thereby triggering a series of steps that will lead to a special election to coincide with the general election to be held on November 5th, 2013. A special election held on that date will not cost any additional public money, and will give residents the best opportunity to decide who they would like to represent them for the remainder of the current term. Luckily, on July 10th, we have a Council-to-Go meeting scheduled in Polish Hill. As my letter to the Council President will indicate, I will resign effective the end of that meeting, a fitting close to my tenure on council. If you can make it, please join us. Thank you for giving me the opportunity to serve you in elected office for nearly ten years. I am proud of all we accomplished together. While I am leaving elected office, I am glad to know that we will still have the opportunity to work together in my new capacity of serving the children and youth of our region. I can be reached via email at dowdps@gmail.com or by phone at 412-680-8007. Stay tuned, and please keep in touch. NOTE: The Polish Hill Council to Go session will be on Wednesday, July 10 at 7:00 p.m. at the PHCA office, 3060 Brereton Street. Council to Go, District 7 Councilman Patrick Dowd’s roving community meeting, comes to Polish Hill on a quarterly basis. The next Council to Go will be on Wednesday, April 10, at 7:00 p.m. at the PHCA office on Brereton Street. All residents are welcome. Here is District 7’s Council to Go meeting schedule. This evening, Tuesday January 8 at 6:30 p.m. is Polish Hill’s monthly community meeting. Items on the agenda include a visit from Zone 2 traffic officers and updates on what the PHCA will be doing in upcoming months. The meeting will take place on the lower level of the West Penn Recreation Center, 450 30th Street. Use the door on the side of the building, facing the driveway. 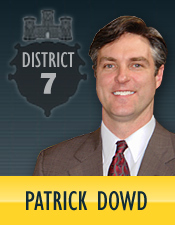 Tomorrow, Wednesday, January 9 from 7:00 – 8:00 p.m. is Council to Go, with District 7 Councilman Patrick Dowd. Council to Go takes place every other month and is hosted by the PHCA at our office at 3060 Brereton Street. All residents are invited to stop by to find out what’s going on in City Council or to relay concerns to our councilman. And on Thursday, there’s the public meeting in regards to the proposed social club — see the previous blog post for more details. That’s a lot of public meetings in one week! But the weather’s easing up — so we hope to see you at one or more of these. For more information, call the PHCA at 412.681.1950, or email us at phca@phcapgh.org.